QLD Graduate Portal | Information for graduates with disability. 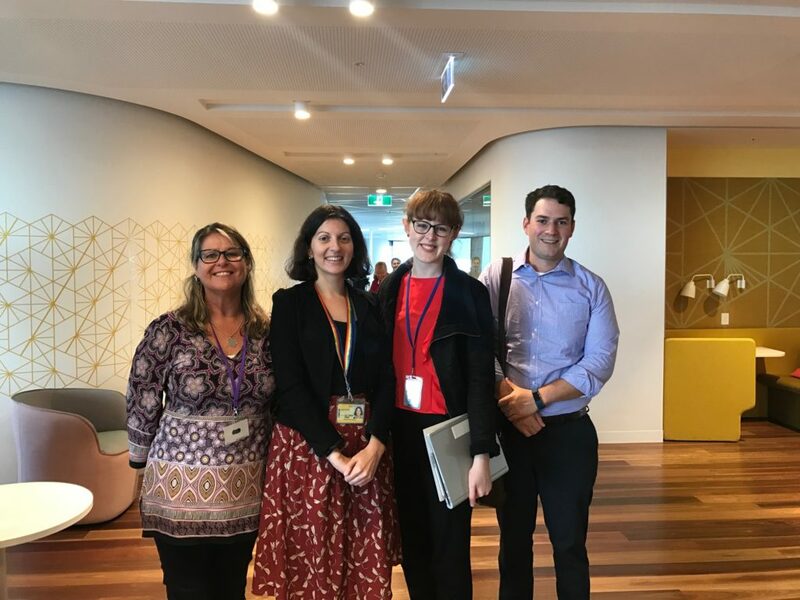 Recently two Queensland NDCO’s involved in University Specialist Employment Partnerships met with the QLD Public Service Commission’s graduate portal team to discuss USEP and the employment service being delivered to University students with Disability at trial locations. 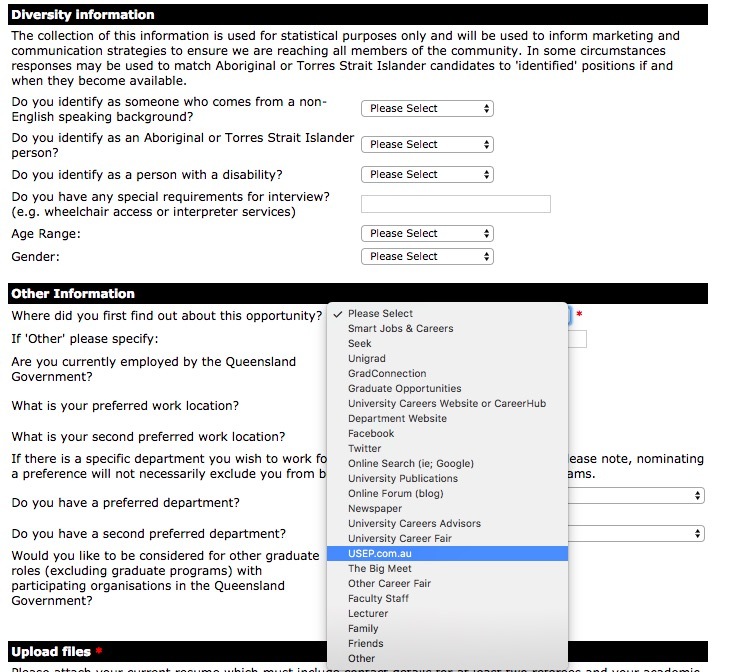 USEP is now a referral option in the QLD State Government graduate portal, allowing for streamlined tracking of USEP referrals to allow the state to evaluate how this translates to jobs and experiences within State Departments. This can lead to an informed discussion about providing opportunities for University graduates with disability. Our gratitude to the state of Queensland for leading the way and being so responsive toward graduates with disability (although, the writer may be slightly biased, being a QLD’er). It’s absolutely essential that State & Federal departments are thought leaders when it comes to the employment of graduates with disability. Photo Description: Screen shot of the referral reason drop down menu – USEP consultants and students please select USEP.com.au so we can track your progress. For those who are not USEP participants and do not have USEP available to you at this stage, please utilise the portal! Here we are for the obligatory group photo, however, we did not bring our selfie stick so it did not uphold the same standard as most evidentiary pictures.